Thirteen Nobel Prizes have been awarded to Berkeley Lab scientists, a tradition of achievement that began when Lab founder Ernest Orlando Lawrence won the 1939 Nobel Prize in Physics for his invention of the cyclotron. Lawrence was a 28-year-old assistant professor, recently recruited to UC Berkeley from Yale, when he envisioned the circular device capable of accelerating nuclear particles to extremely high speeds without the use of high voltage. Small enough to hold in his hands, the original cyclotron ushered in the era of giant “atom smashers” housed under domes here and at particle physics laboratories around the world. Cyclotrons set off a whirl of discovery at Berkeley Lab that included new elements, isotopes, subatomic particles, and the birth of nuclear medicine. His Nobel Prize medal is on exhibit at the Lawrence Hall of Science, a science education museum established in his honor on the hill just above Berkeley Lab. Seaborg and McMillan shared the prize for their discoveries in the chemistry of elements that are heavier than uranium. McMillan discovered the first, neptunium, and developed the synchrotron, the type of particle accelerator used in the discovery of 19 others. Seaborg was co-discoverer of plutonium and nine other transuranium elements. accelerators. An antiproton is identical to a proton, except that its electric charge is negative instead of positive. created by the collisions of charged atomic particles from accelerators. of a sequence of chemical reactions involved when a plant assimilates carbon dioxide.” The “Calvin cycle,” as it is known today, is a key step in photosynthesis—the conversion of light, carbon dioxide, and water into plant sugars. elementary particle physics, particularly for his discovery of “resonance states” within the nucleus of an atom. Alvarez and his geologist son, Walter, were first to find evidence that an asteroid impact 65 million years ago was responsible for the extinction of dinosaurs. of Toronto and Dudley R. Herschbach of Harvard, for their contributions to the development of reaction dynamics, the study of the detailed events that occur among colliding molecules during extremely fast chemical reactions. École Normale Supérieure and William Daniel Phillips of the National Institute of Standards and Technology for their development of methods to cool and trap atoms with laser light, enabling more precise study of individual atoms and the design of more accurate atomic clocks. Chu was Berkeley Lab director from 2004 until 2009, when he was appointed U.S. Secretary of Energy. Smoot shared the Nobel Prize in Physics with John C. Mather of the NASA Goddard Space Flight Center for their discovery of subtle irregularities in the cosmic microwave background radiation, the faint thermal afterglow from the Big Bang. These irregularities are thought to have led to the condensation of matter into gas clouds, stars, and galaxies as the universe expanded. 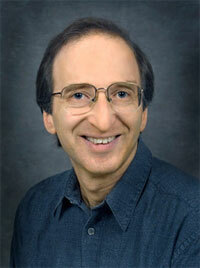 Berkeley Lab astrophysicist Saul Perlmutter shared the Nobel Prize in Physics with Brian P. Schmidt of the Australian National University and Adam G. Riess of Johns Hopkins University for the discovery—using observations of distant supernovae—that the expansion of the universe was not slowing down, as anticipated, but in fact is accelerating. Perlmutter heads the international Supernova Cosmology Project, which pioneered the methods used to discover the accelerating expansion of the universe, and is a leader in the effort to determine the nature of dark energy, a term used to describe the unknown repulsive force that is driving this phenomenon.